Finished piece: 2" wide x 2⅜" long x 1" deep 6 cavities per mold, molds 3 3D bunnies. Approximately 16 pieces can be obtained from a pound of candy coating or chocolate. 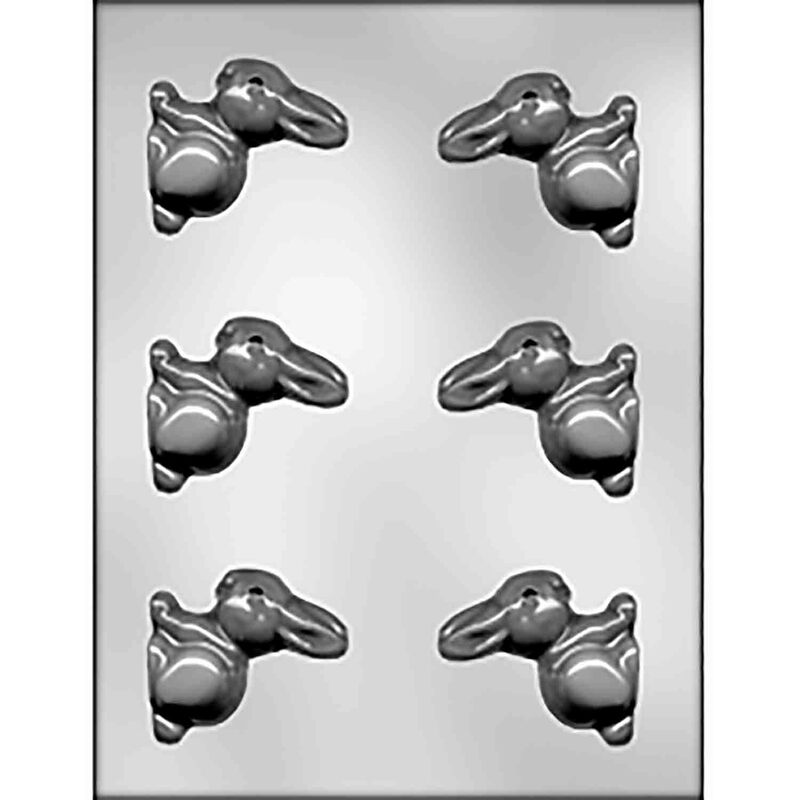 6 cavities per mold, molds 3 3D bunnies. Approximately 16 pieces can be obtained from a pound of candy coating or chocolate.